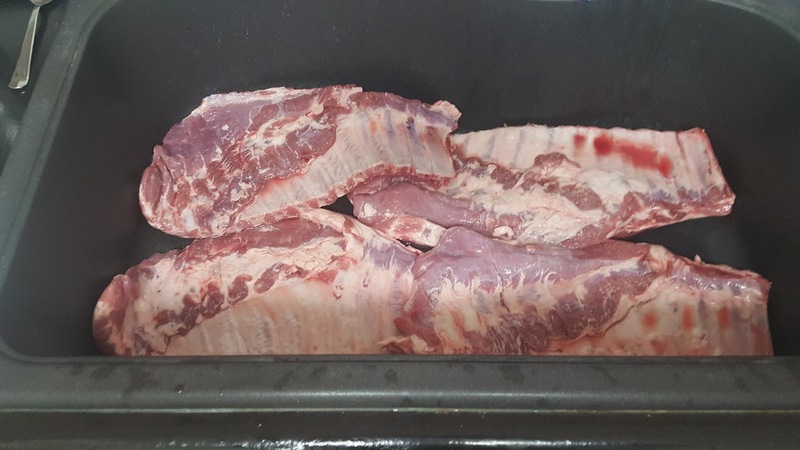 I remove the water moisture from the ribs with commercial towels that I got from Sam's Club. This is my 250R from Bubba Grills. 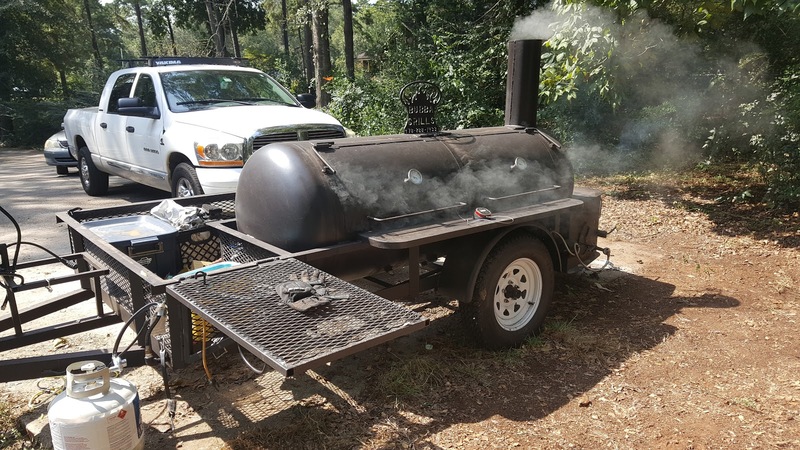 You can read more about the Bubba Grills smoker by searching for the name on the Internet. I am really happy with my smoker. The meat is finally on the grill at 12:30 PM. dinner is scheduled for 5 PM. 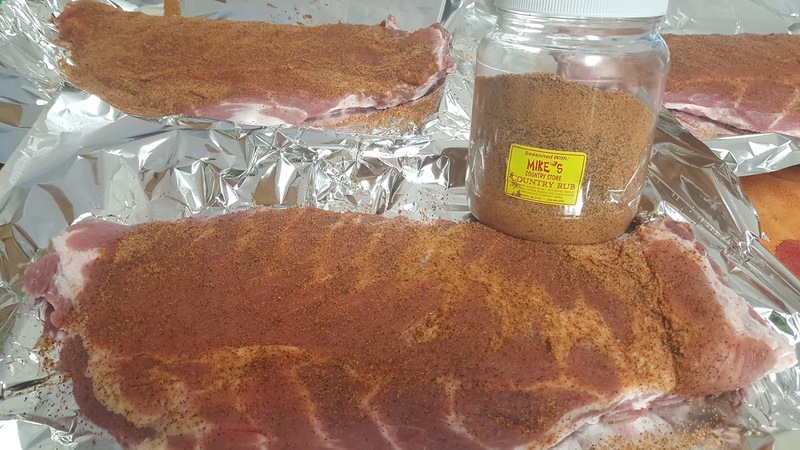 I am only using about one-third of my top rack for these four slabs of spareribs.